Endeavour is ITV’s prequel to its incredibly popular series, Inspector Morse starring the great and sadly late John Thaw. Morse was known for its use of opera, clever criminals and an Oxford setting which featured almost all the universities. Morse ended in 2000 with the final episode dealing with Morse’s decline and fall due to alcoholism and eventual death. Throughout its thirteen year run, Morse was seen as the best in British crime drama. Now something has taken its place. Endeavour chronicles the earlier days of Morse. Unlike most prequels is it thought provoking, brilliantly written, fantastically acted and the crème de la crème of British television at the moment. Unlike other offerings from ITV, such as its drawn out and boring series, Broadchurch, Endeavour has a much quicker pace, is more intelligent, more interesting and more cultural. The puzzle solving element, which was also a feature of Inspector Morse is one of the main draws of the show. It makes the audience work and keeps them interested; will they be able to solve the puzzle, what happens if they don’t? Endeavour also draws on the wonderful landscape of Oxford, its magnificent churches, universities and grand halls. The use of the different locations is much more imaginative than Broadchurch’s constant use of one shot of a cliff. The makers of Broadchurch use that as if they think that they have to keep using this image to remind the audience that the child who is dead fell off a cliff. The acting in Endeavour is excellent. Shaun Evans is brilliant as the young Morse not only being similar to John Thaw’s interpretation but also making his own mark on the role. The supporting cast are also wonderful, with Roger Allam bringing a gruff charm to Inspector Fred Thursday and Sean Rigby giving a great turn as Constable Jim Strange. Anton Lesser brings a wonderful arrogance to Chief Superintendent Reginald Bright which helps make the supporting cast as interesting as varied. 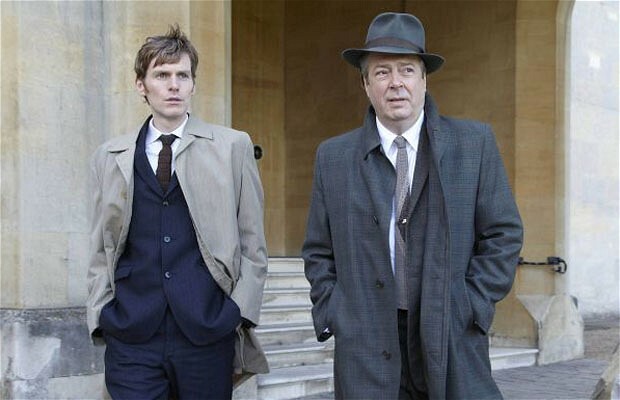 Endeavour has already started its first wonderful series on ITV. You can catch up on the previous episodes on the ITV Iplayer. Endeavour is on every Sunday at 8pm for the next two weeks. Watch it. If you don’t, you are missing out on something truly incredible. If you go on Twitter than I also suggest that you give @mammothscreen a follow (They produce Endeavour) and @ScriptULike (The writer and creator of Endeavour). I totally agree – last night’s episode was even better than last weeks.